Huawei, alongside its Mate 20 has also launched a few other devices including a wireless charger, smartwatch, car charger, and a new AI speaker. The new speakers are a blend of Amazon Echo Dot and Apple’s HomePod. 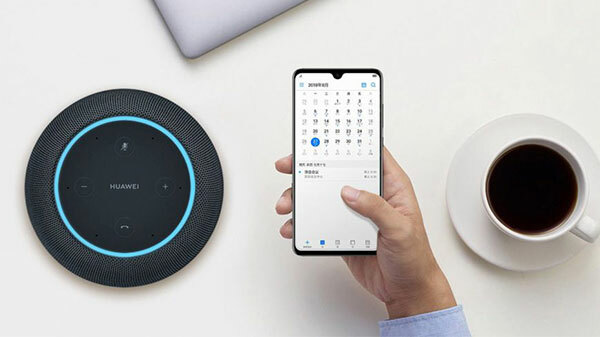 Unlike Huawei AI Cube that has Google Assistant as its voice, Huawei AI Speaker incorporates Chinese voice assistant, Xiaoyi. The new AI Speaker is meant only for the Chinese consumers, as of now. It has 6 mics to interact with Huawei’s own Xiaoyi virtual assistant. As for the design, the company has placed four physical buttons: mute, +, -, and a call button. Huawei has partnered with Dynaudio to use its technology for its AI speakers. It comes with a 2.25-inch high-fidelity hardware with a 10-watt speaker. The company has added a “Histen” algorithm to improve its sound performance. The new voice assistant is pretty much inspired from the Google Assistant. It is capable of differentiating voices, allowing users to interact in a more dynamic way. Huawei has focused on building a “smart” product rather than just a “speaker.” Smart speakers have become a trend in the industry after Amazon Echo and Google Home garnered a huge user base. But most of them are priced heavily if we keep Amazon Echo Dot and Google Home Mini aside. Huawei has affordably priced its AI Speaker at 399 Yuan (~$60) in China. Besides, Huawei CEO Richard Yu has confirmed that the company has a 5G foldable smartphone in works. At the Mate 20 Pro launch event, Yu said: “We are working on foldable phones. Foldable phones with 5G,” reported Digital Trends. The company has been previously reported to be working on a 5G smartphone and foldable phones. However, this is the first time we’ve come across a report that claims that both technologies will feature in the same device. The company recently launched the Mate 20 Pro. It comes with a 6.39-inch OLED display with an in-display fingerprint sensor, 3D Face Unlock and QHD+ resolution of 3120 x 1440 pixels. At its heart, it has Kirin 980 SoC with two NPUs for AI tasks. It has a triple camera setup at its rear comprising of 40MP, 20MP, and 8MP sensors.